To The Bone is a film about a young woman struggling to deal with anorexia. After the trailer was released by Netflix, it didn’t take long for people to share a range of complicated feelings on the subject. Before the film even came out, a lot of viewers were worried about the way eating disorders would be portrayed onscreen and that this piece of media could be more harmful than helpful to those in recovery. Personally, I had been waiting months for To The Bone to finally hit Netflix. Besides the plot and the amazing cast, the controversy behind the movie wooed me into watching it. 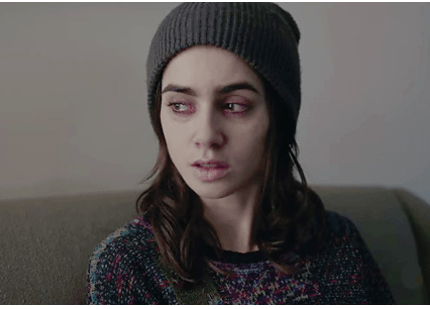 Marti Noxon, who is the writer and director of this film -mostly known for Buffy The Vampire Slayer, and Lily Collins -the star of the movie, both experienced eating disorders. The struggle with creating a film about something most people are too scared to talk about is that it brings up a very important question… How do you create a film about eating disorders, depression, etc. without glamorizing it? The answer to that question was simply to show the raw and realistic views of a person struggling with disorders. For such a heavy and avoided topic, I believe Noxon and the rest of the film crew did a great job at safely portraying this issue. I will continue to give high praise for this movie and encourage you all to watch it. Noxon and Collins telling their story took courage that not everyone chooses to acknowledge. As poet Anne Sexton said, “You did not fondle the weakness inside you though it was there. Your courage was a small coal that you kept swallowing.” Wherever you are, know that you are not alone. Tame your demons and tell your story.